Nomi Sunrider was a Human Jedi Knight from the days of the Old Republic, about 4,000 years prior to the Battle of Yavin. She was married to Jedi Knight Andur Sunrider, with whom she had a daughter, Vima. 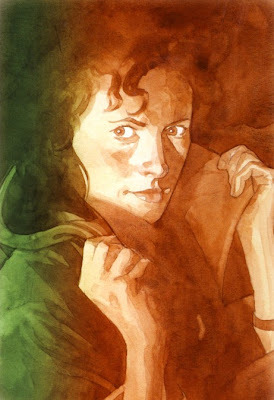 She later became a great Master of the Jedi and was seen as one of the key leaders of her time. Despite her original wishes and fear of the imposing Thon, she finally accepted her destiny as a Jedi and the training of the Tchuukthai Jedi Master. She was joined in her training by Oss Wilum, who had already been training with Thon for five years. Shortly after Nomi arrived Oss was called to Onderon to aid Arca Jeth in keeping peace there. Nomi and Vima were left alone with Thon on desolate Ambria. He gave her his lightsaber as a gift and she used it to defend her master’s home when Bogga’s men arrived and once again demanded the Adegan crystals. She spent many months with him on Ambria and progressed in her training at an astonishing rate especially given her age, which was much older than the typical age of a padawan. Thon then brought Nomi to the Jedi world of Ossus where Vodo-Siosk Baas instructed her in lightsaber construction. 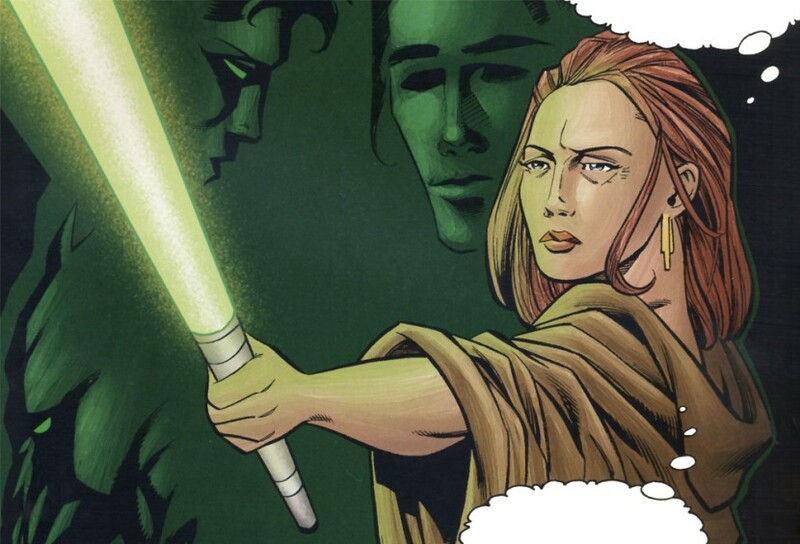 On Ossus, she met and became friends with fellow Jedi Shoaneb Culu, Kith Kark, Qrrrl Toq, and Dace Diath. She and her new friends were sent to Onderon shortly after meeting to aid in the suppression of the Freedon Nadd Uprising and there, Nomi was reunited with Oss. 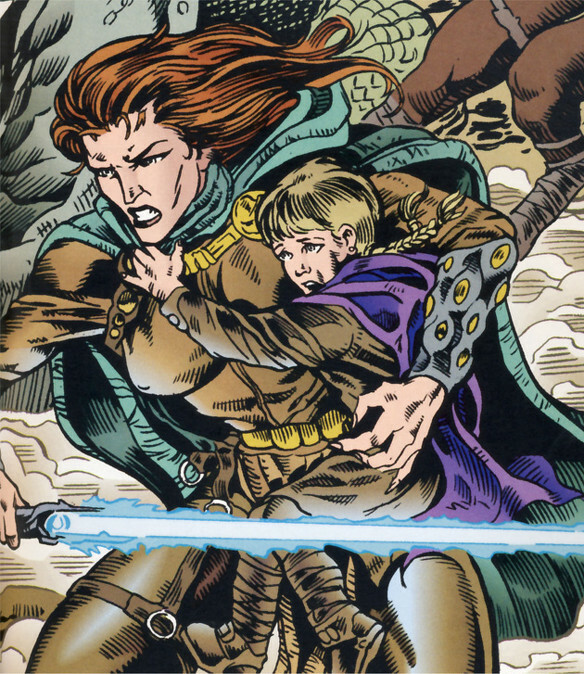 It was on this mission that she met Arca Jeth and his apprentices, Ulic and Cay Qel-Droma, and Tott Doneeta. After putting down the uprising, Nomi studied Battle meditation with Arca, an ability she had already shown great talent with. She was able to not only control troops’ morale and coordination but also who the troops attacked. On many occasions she was able to avoid using her lightsaber by using Battle Meditation to cause her enemies to fight each other rather than her. When she returned to Ossus she furthered her studies of this power with Odan-Urr, who would soon be murdered by Exar Kun, and her previous lightsaber instructor Vodo-Siosk Baas. She also continued her basic training with Thon who was by this time a father figure for not only her but also her daughter, Vima. There was not a great deal of time for study, however. The Krath began to rise in the Empress Teta system and Nomi was again called into battle. She was paired with Ulic Qel-Droma, whom she had met on Onderon. The two grew close and soon realized that they were in love. Since it was not looked down upon for two Jedi to love and marry at that time, they openly announced their love and their masters were pleased with the match. Before they could be married, however, Ulic defected to the Krath and when the Krath allied with the Sith, he became apprenticed to Exar Kun. Nomi also saw Oss join Exar Kun and try to murder Thon. Thon was able to save his former pupil, but Ulic seemed out of reach of the help of his fellow Jedi. With the friends she had made at Ossus and Onderon, as well as Vodo-Siosk Baas’s apprentice, Sylvar, whose mate Crado had also joined Exar Kun, Nomi fought to protect the Republic. When Ulic killed his brother, Nomi severed his connection with the Force and was convinced that his love for her was severed. He ended up turning on Exar Kun, and helped the Jedi defeat him and win the Great Sith War. During the course of this terrible conflict, Nomi met and became good friends with Jolee Bindo and his wife, Nayama, experiencing a number of battles together. In the years following the end of the Sith War, Nomi lived on Coruscant. She became a well-known Jedi Master, becoming a spokesperson and de facto leader of them while becoming embroiled in Republic politics on the capital. Holding the title of councillor, she presumably sat on the Jedi Council. As Vima grew, she became somewhat rebellious and impatient. When she ran away to find Ulic to train her as a Jedi, Nomi searched and found her with the help of Sylvar. Although the meeting between her and her ex-lover was rather awkward, Nomi realized, after discovering the statues Ulic had carved, that he was finally beginning to find peace; however, Sylvar was far from peace. She blamed Ulic for the death of Crado and viciously attacked him with all the rage of her Cathar predatory instincts. At first, Ulic defended himself but then refused to fight and made her realize that she herself was going down the path of the dark side. Calmed of her rage, Sylvar deactivated her lightsaber, but Hoggon, the guide she had brought with her, shot Ulic in the chest and died in Nomi’s arms. After this, Nomi concentrated on training her daughter. Her final fate is, as of now, unknown. She was a great Jedi Master of her age, and through her daughter, Vima, she was a multiple-great-grandmother of Vima Da-Boda. The starship Sunrider was named after her. 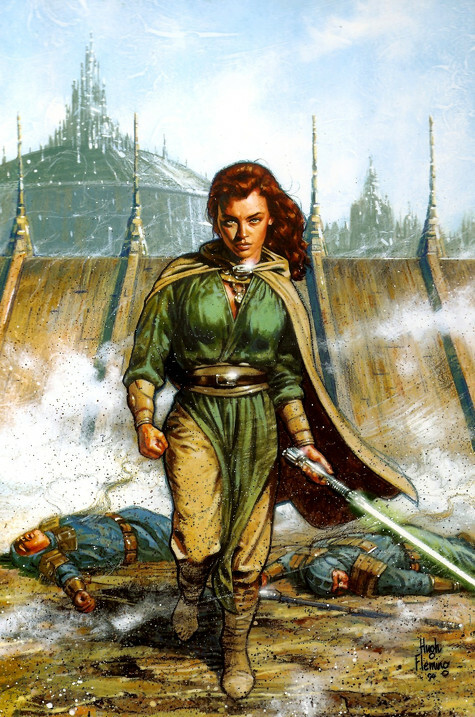 According to Chris Avellone, Jolee Bindo‘s story in Star Wars: Knights of the Old Republic where he discusses Nomi was an oversight: for legal reasons, the developers could not use the name “sunrider”, to the point of having to invent a new character, Bastila Shan, instead of reusing Nomi’s daughter Vima Sunrider for the game. In the sequel, Star Wars: Knights of the Old Republic II: The Sith Lords, there is an item called “Nomi’s Robe”, but its description only mentions “Nomi” and “Andur”, without the last name “Sunrider”. In the game “Star Wars Galaxies”, there is a lightsaber crystal tagged with the name “Sunrider’s Destiny”.